Fish-in cycling can be done safely and easily, if you employ an effective technique. Unfortunately, there is a new wave of fishless cycling advocacy that has a tendency to demonize fish-in cycling as being some sort of cruel and difficult process, when in reality, it has been and will continue to be the industry standard for decades. Believe it or not, fish-in cycling should not be an ethical concern like it is often made out to be. Often times, those that protest it have little actual experience with it, apart from a possible disaster story from their past or regurgitated preaching on the subject. There are some common misconceptions on how people regularly get their tanks started. A person with several tanks most likely did not fishless cycle each of them, if anything they may have cycled the first one, or first few, but usually by that time the fishkeeper has a good enough understanding of the process to transfer some established filter media into the new tanks, which also technically makes this process a ‘fish-in’ cycle. LFS advice can be sketchy at times, but not all the time. There is a reason why some privately run LFS are successful, and it is usually because they know what they are talking about. Granted, their stocking ideas may differ from the general accepted things you find on the net, but what do you expect? It’s their business to sell you fish, so don’t expect them to talk you out of buying things. I do not believe that any ethical business would advise you with the intent of harming your fish so that they can make more money off of you later in medications and other things. Fishless cycling is a good thing, and if you don’t feel like you can manage the responsibility of doing a fish-in cycle, then I suggest you go that route. But if you are like me, and don’t want to stare at a barren tank for a month or two, then take the red pill and follow me down the rabbit hole. There are multiple methods of cycling, we will go over them briefly with pros and cons. No animals potentially harmed in the making of this tank. Biofilter built like a freight train. Requires a test kit and frequent testing/dosing. Have to *attempt* to explain to family and friends why the fish tank doesn’t have fish in it. pH issues- Dosing with a standard 4-5ppm ammonia often wreaks havoc on a tank’s buffering capacity. Many tanks that normally would not need buffer supplements during a regular cycle are forced to do so because of the vast amount of nitrogenous waste being processed. This tells me that the dosing amounts should be revised to reflect that of the average fully stocked tank rather than build a giant biofilter that will just slim down once the real bioload is placed in the tank. To me, it makes more sense to just reduce the amount of PPM being dosed rather than adding a buffer supplement that is not needed during normal tank operation. Set it and forget it. Toss in a piece of fish or shrimp and come back in a month. Patience, no stocking for several weeks. Odor, rotting fish or shrimp can make the water nasty smelling and looking. Unknown biofilter capacity- Raw fish, shrimp, fish food, or anything else that breaks down in the tank is an uncontrolled ammonia source, so there’s no telling how much it is processing. That said, stocking should be done with caution. Pro: Stock immediately, enjoy the tank right away. Light stocking is recommended. Con: Requires some knowledge about planted tanks. Requires a dense stocking of plants as well as the proper equipment to grow them, including aftermarket lighting, fertilizer, and Co2. Frequent water testing is still recommended since plant nutrient uptake is an unknown factor. This method can be done in a low tech setting, but the ability of the plants to uptake nitrogenous waste (ammonia) is limited, so take caution. Con: Potentially dangerous to fish if toxin levels are left uncontrolled/unchecked. Test kit recommended- Frequent water testing will help determine toxin levels and necessity of partial water changes. Investment in a test kit can be bypassed by a strict, frequent water change schedule and light initial stocking. Takes some understanding/research of the nitrogen cycle. All of these methods can be enhanced by bacteria supplements, whether they be through seeded media/filter squeezings or a *correct* bottled bacteria product. Not all bottled bacteria are created equal! Unfortunately, most of the bottled bacteria products out there are only good at removing dollars from your wallet. The reason is because the type of bacteria that are found naturally in a cycled fish tank are sensitive. They do not have an indefinite shelf life, and must be kept out of temperature extremes. There is another type of bacteria that does the same basic nitrification, yet it does this very inefficiently, and creates an unstable biofilter. This type of bacteria is what is most common in these bottled products. The reason is because its shelf life is much longer and is far less sensitive to extremes. This makes it preferable (to merchants) over the more sensitive, proper nitrifiers. Even with the *correct* bacteria, one is still at the mercy of the shipping/storing/handling portion of retail, as this bacteria’s sensitivity to temperature extremes can leave you with a bottle of expensive dead bacteria water. A quick search around will give an idea of what does and doesn’t work, so I won’t go any deeper into that. This is where it’s at. A good filter squeezing/media transfer from a well established tank into your cycling tank can cut down your cycling time days rather than weeks. The best method is to actually get some well worn filter media, like a handful of biomedia or a substantial piece of filter padding. This is done by opening up a well established filter and removing some of it’s contents and then placing it into the filter of the tank you are trying to cycle. You can also transfer some gravel or decor from a well established tank, but it is not nearly as effective as the filter media is. Remember, when you transfer bacteria in this manner you are also transfering whatever was in that tank with it, so make sure the tank is a healthy one so you don’t have a disease lingering in your new setup. The basic idea behind this method is to keep stocking and waste production at a minimum, this will, in essence, keep toxin levels minimal as well, so that the fish are not subject to any extreme toxin spikes. STOCK LIGHTLY. I cannot emphasize this more, STOCK LIGHTLY, less is more. My rule of thumb for stocking levels while fish-in cycling is to stock only small fish at first. This can be a larger species, as long as it’s small at the time of cycling. A 1-2″ fish size is ideal. Stocking density- Rule of thumb, 10g minimum tank size, the first # in your tank size (in gallons) is how many fish you can stock. Notice I said *can* here, use your discretion and best judgment. If you have a 50 gallon tank, 5 small fish would be an idea initial stocking. 40 gallon tank, 4 small fish, so on and so forth. This is not an absolute, though. Let’s say I am cycling a 50 gallon. I plan to stock a school of 6 tetras in this tank. Instead of getting 5 of the 6 tetras as the guideline says, I’d get 6. Reasoning? Might as well get them all at once, especially since another trip to the LFS later costs $, they may not have this species next time you go, or you are ordering online (paying shipping twice would be silly), and finally, one single small fish is not likely to be a huge swaying force when you factor in bioload. There should be some thought put into which species you stock first as well. Do not choose a fish that is notoriously sensitive, picky, finicky, or what have you. Example, no discus or rams. Also do not choose your most expensive fish to stock with initially either, because if things go bad, not only will you have lost a beloved pet, but you will also have lost a good chunk of money. Most of all, do NOT stock ‘cycling’ fish. There’s an old school mentality which has the misconception that a fish-in cycle needs to be done with certain hardy fish like zebra danios. Don’t do this, whatever fish you initially stock with should be the ones that you plan to stock in the tank anyway, so there isn’t a moment down the road where you are wondering what to do with the fish that you just used for the past month to cycle your tank. Figure out your stocking plan FIRST. Do this before you even begin to cycle your tank. You don’t have to immediately add these fish, just make a plan so you can work out the kinks and potential issues. It is 1000x easier to fix a stocking plan on paper than it is to fix a stocking issue swimming around in your tank. Figure out what you want to put in it, this takes research of each potential species as well as speaking to those who know and understand stocking/species well. Do not assume that the LFS worker can do this, most cannot or choose not to for various reasons. People on the forum are always happy to give stocking opinions, but be warned, they may differ. Just like opinions on anything, people have their own, so don’t expect every response to be the same. However there will be some ideas that will be generally agreed upon, and this should be your middle of the road. Even with the entire forum telling you one thing, you should still research the stocking plan for yourself. After all, at the end of the day, you and no one else on the forum is going to be staring into your tank day in and day out. 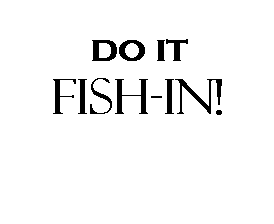 Just remember that informing yourself is everything in this hobby, it’s an invaluable tool that will lead you to enjoy your time as a fishkeeper and minimize the stress related to it. -Water change schedule. Do not be afraid to have a frequent water change schedule. Twice a week water changes of around 50% are great, and it helps keep the water quality up. If you notice a toxin spike, or if you notice odd behavior from your fish (i.e. listlessness, hovering, gasping) then plan to do a large water change immediately. A must-have tool to make your fishkeeping experience much simpler and easier is a tap-to-tank water changer. There are several brands of these, and all work great. This simplifies the water change process and cuts down on time and effort, so there is no excuse not to invest in one if you have a substantial size tank. This is another great way to cycle a tank, and can be accomplished without any really high tech equipment if it’s not a desirable route. I’m a minimalist by nature, so I enjoy the low-tech side of things, and this method can work with very little investment. First things first, lighting. It seems like there is a sharp contrast in the realm of lighting. Nearly all aquarium kits come with sub-par lighting for a well functioning planted tank. So what happens is you have those that have sub-par lighting on their planted tank setup and then you have those that get ‘serious’ into planted tanks and upgrade their lighting. However, new planted tank keepers often underestimate the power of their upgraded fixtures, so you have an extreme of either ‘not enough light’ or ‘way too much light’. Finding the balance is the key. There are 3 things fundamental to keeping a happy healthy planted tank. Light, Co2, Ferts. Let’s start with lights. I look at it this way, more light = more energy for the plant to grow. However, more light = more demand for the other 2 portions of the equation, Co2 and ferts. There is a basic amount of Co2 and ferts that is naturally found in the aquarium setting, so up to a certain level of light you might be able to get by without supplementing additional Co2 and ferts. This is a low tech approach, or a natural tank approach, and it works quite well. If you want to bump things up for faster growth, then increase light intensity, but also consider an increase in Co2, this can be achieved by a pressurized setup (recommended), DIY Co2, or a liquid carbon source. Note: Liquid carbon works, but is not nearly as effective as the real thing. And likewise, fertilizers should be kept in steady supply. Going with something like Estimative Index dosing ensures that the plants always have a surplus of fertilizers to use as-needed. This method works quite well, and many use it, contrary to the idea that plants ‘starve out’ algae by using up all the available nutrients, but that’s another discussion in itself. The E.I. method is not a rigid system, and should be tweaked as needed. Remember that each planted setup is different, and there are many variables that factor into each one, so it often takes a bit of research and testing to find the sweet spot, so to speak. There is often a misconception about low light plants and high light plants. 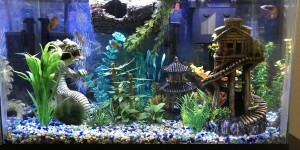 Generally, if you have a well lit aquarium, you will be able to sustain or grow most of the plants found in the trade. Also, low light plants generally do not require low lighting conditions to grow, they actually thrive and grow even better/faster in more intense light. -Get a light fixture/bulbs capable of growing plants. Generally speaking, a T5/T5ho fixture with daylight bulbs (~6700k) will do the trick. -Get a substrate material that promotes plant growth. This isn’t an absolutely essential thing, as many plants will grow in plain gravel or sand, but it definitely helps. There are many types to choose from and some cost more than others, but all serve the same basic function of being a medium in which fertilizers are made available to the plants. Some substrates come impregnated with fertilizers, but typically these nutrients are depleted over time and should be supplemented with root tabs or fert dosing. -Get some plants. Choose wisely here. Pick some low demand, low light plants. You can go with plants like java ferns, anubias, and moss, but it is ideal to have some fast growers mixed in there as well. I recommend anacharis, water wisteria, hygrophila, ludwigia, guppy grass, water sprite, and hornwort just to name a few. I do not recommend duckweed, although it does a good job as well, it just takes over the top of the tank quickly and blocks the light from the other plants in the tank. -Density is important. Don’t be afraid to plant the tank with a lot of stuff, pack it in there, you can always move it/trim it later. Find someone selling off a bunch of trimmings, or buy a bunch of cheap plant bunches from aLFS, whatever it takes. It is usually cheaper to buy from other hobbyists though, so keep that in mind. -Figure out a schedule and stick with it. Plan to light the tank around 6-8 hours daily, and make a routine out of it. If you want you can put it on a timer so that it does the on/off for you whether you are there or not. -Water changes- Water changes in planted tanks can be important. Get a frequent water change schedule, especially while the tank is still establishing itself. Remember, water changes replenish some micronutrients and also act as sort of a ‘reset’ when you are regularly dosing fertilizers, so don’t be afraid to do a substantial (~50%) water change weekly or even twice a week. -Keep a close eye on the tank. This is especially important during the cycling period. Regular testing will help you detect and remedy any water quality issues early on, hopefully before any livestock are affected by them. A heavily planted tank that is going well is not likely to have any major water quality issues, but it does happen sometimes, so it’s best to keep a close eye on the parameters for the first several weeks of a tank setup. Watch for algae. Algae is much eaiser to deal with early on. If you see some kind of algae growth, do some research and figure out what it is and how to take care of it. Focus on keeping the plants healthy and happy and the algae usually isn’t a problem, but there are always exceptions to the rule. Stocking- Initially, you’ll want to lightly stock your planted tank with small fish, 1-2 inches or so. My rule of thumb is to start with a minimum 10 gallon tank, and stock according to the first number in the tank size, so for a 10 gallon you would stock 1 fish initially, 20 gallon 2 fish, 30 gallon 3 fish, and so on. It’s just a guideline, so it can be adjusted if necessary. Give the tank a couple of weeks for things to get running well and ensure that the water parameters are stable (no toxin spikes!) before adding more fish. And as with any fish-in cycle, add the fish groups slowly, don’t stock the entire tank all at once if you can help it. I like to add my stock list one group at a time with a few weeks in between each to ensure that the bacteria have time to catch up. There are some times when this may not be feasible. If you are purchasing fish online, then you will likely want to make a large order to justify shipping costs, so you will be receiving a large amount of fish at once. This is fine, just remember that with a large change there can be large consequences, so its imperative to watch the tank parameters like a hawk until you are certain that the bacteria have caught up and are processing the toxins being produced. And finally, I cannot express how important it is to add established media, filter squeezings, etc. This is essential to getting a newly setup tank going quickly and safely. Any LFS worth their salt should be able to help you with this, and if not, there are some other options, whether it be through a local club, forum member, or a product.